Camellia Beauregard is a Belle. In the opulent world of Orleans, Belles are revered, for they control Beauty, and Beauty is a commodity coveted above all else. In Orleans, the people are born gray, they are born damned, and only with the help of a Belle and her talents can they transform and be made beautiful. But it's not enough for Camellia to be just a Belle. She wants to be the favorite, the Belle chosen by the Queen of Orleans to live in the royal palace, to tend to the royal family and their court, to be recognized as the most talented Belle in the land. 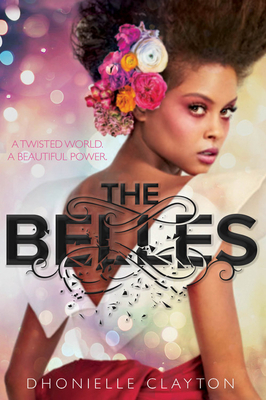 But once Camellia and her Belle sisters arrive at court, it becomes clear that being the favorite is not everything she always dreamed it would be. Behind the gilded palace walls live dark secrets, and Camellia soon learns that the very essence of her existence is a lie, that her powers are far greater, and could be more dangerous, than she ever imagined. And when the queen asks Camellia to risk her own life and help the ailing princess by using Belle powers in unintended ways, Camellia now faces an impossible decision. With the future of Orleans and its people at stake, Camellia must decide: save herself and her sisters and the way of the Belles, or resuscitate the princess, risk her own life, and change the ways of her world forever. Dhonielle Clayton is the coauthor of the Tiny Pretty Things series. She grew up in the Washington, DC, suburbs on the Maryland side and spent most of her time under her grandmother's table with a stack of books. A former teacher and middle school librarian, Dhonielle is cofounder of CAKE Literary, a creative development company whipping up decidedly diverse books for a wide array of readers, and COO of the non-profit, We Need Diverse Books. She's got a serious travel bug and loves spending time outside of the USA but makes her home in New York City, where she can most likely be found hunting for the best slice of pizza. You can also find her online at www.dhonielleclayton.com or follow her @brownbookworm.